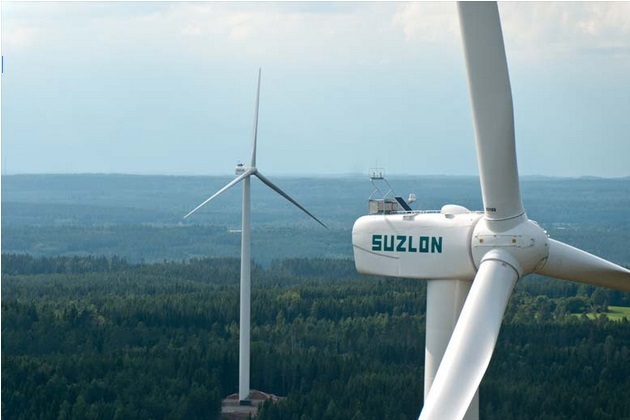 Wind turbine manufacturer Suzlon group today said it has won a repeat turnkey order for 100.8 mega watt (MW) from Orange Renewable which will be installed at a wind park in Andhra Pradesh. “Suzlon Group has won a repeat turnkey order for 100.8 MW from Orange Renewable, an independent power producer (IPP), to be installed in a wind park in Beluguppa, Andhra Pradesh. The project will be commissioned starting financial year 2016-17,” the company said in a BSE filing. The company further said it will offer operation and maintenance services for an initial period of 12 years through an integrated package. The wind park comprises 48 wind turbine generators of Suzlon’s S111 90m, 2.1 MW wind turbines. Orange Renewable is a developer and operator of renewable energy projects and a 100 per cent subsidiary of AT Holdings Pte Ltd, Singapore. Shares of Suzlon Energy were trading at Rs 22.40, up 3.23 per cent in the late morning deals.